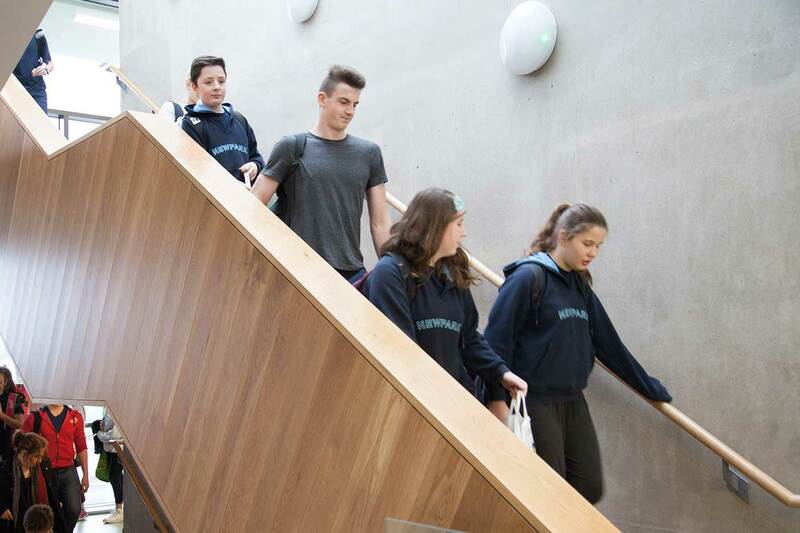 Although Newpark prioritises entry for students from Protestant and Educate Together Primary Schools, it welcomes students from all backgrounds. As a pluralist community, Newpark embraces social, cultural, religious and ethnic diversity. Students of all abilities are welcomed. Assessment tests before entry are completed to facilitate planning and class formation. PDFs of our Admissions policy and application forms are available for download below. Applicants for a place in first year need to submit the application form only. Applicants for years 2-6 need to submit the application form, the educational information form, copies of the child’s two most recent school reports and a letter from a parent/guardian outlining why you wish your child to attend Newpark.